Annex Dance Company is committed to promoting dance in its home location, as well as around the globe. Through performance, collaboration, outreach/education, Annex Dance Company continues to evolve with each project. Under the artistic direction of Kristin Alexander, the company strives to be an internationally recognized classical modern dance company, with an edge. 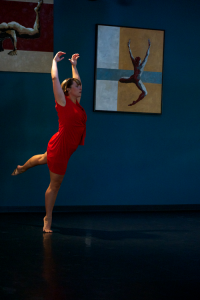 Annex Dance Company supports and promotes all the arts through collaborative projects with artists of different mediums.